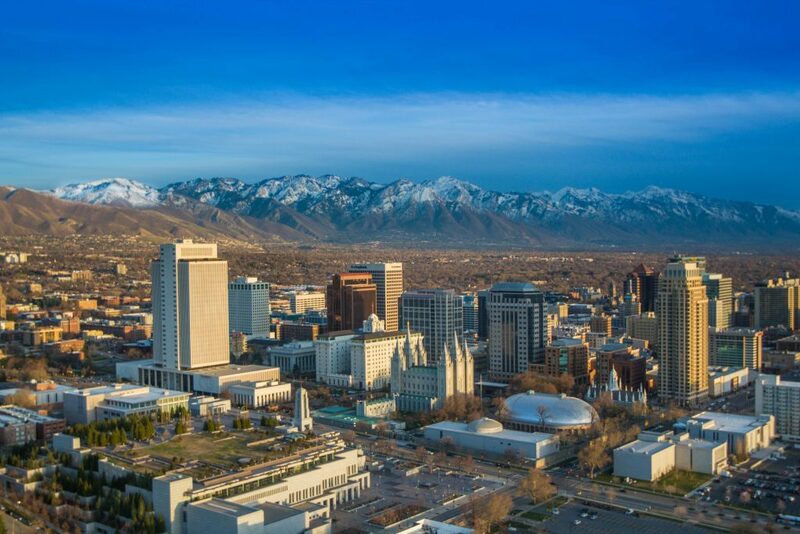 Salt Lake City, Utah’s high-elevation capital, is bordered by the buoyant waters of the Great Salt Lake and the snow-capped peaks of the Wasatch Range. Downtown’s 10-acre Temple Square, headquarters of the Mormon Church, is home to the majestic, 19th-century Salt Lake Temple and the neo-Gothic Assembly Hall. The acclaimed Mormon Tabernacle Choir performs in the square’s domed Tabernacle. Tour Brigham Young’s homes, the historic Union Pacific Railroad Depot, and the Utah State Capitol. Nearby Hill Air Force Base Aerospace Museum is home to one of the finest collections of old and current military aircraft in America. Kennecott Copper Mine is the world’s largest man-made excavation, and could easily shelter two Empire State Buildings stacked one on another. Observe an operation whose cumulative sales from extracted ore exceed, eightfold, the yields of the Comstock Lode, the Klondike, and the California gold rush combined.